2017 is Project 88’s fifth year in Frieze New York. Every year there are some spectacular works under this long, sinuous white tent along the East River in Randall Island. This year, however, I felt that there was less art on steroids and it was the quieter and smaller works which left a lasting impression. The big galleries bookending the fair at either end lived up to their reputations and impressed with the big stars from their stable. Special mention must be made of the presentations of David Zwirner (with an elegant display of dye transfer prints of William Eggleston and sculptures by Carol Bove) and Esther Schipper which included a performance work “Swap” by Roman Ondak and a mesmerizing iridescent suspended plexiglass and metal installation by Tomas Saraceno. Painter, essayist and poet, Adnan was born in 1925 in Beirut, Lebanon. The booth had some of her paintings as well as a large tapestry. 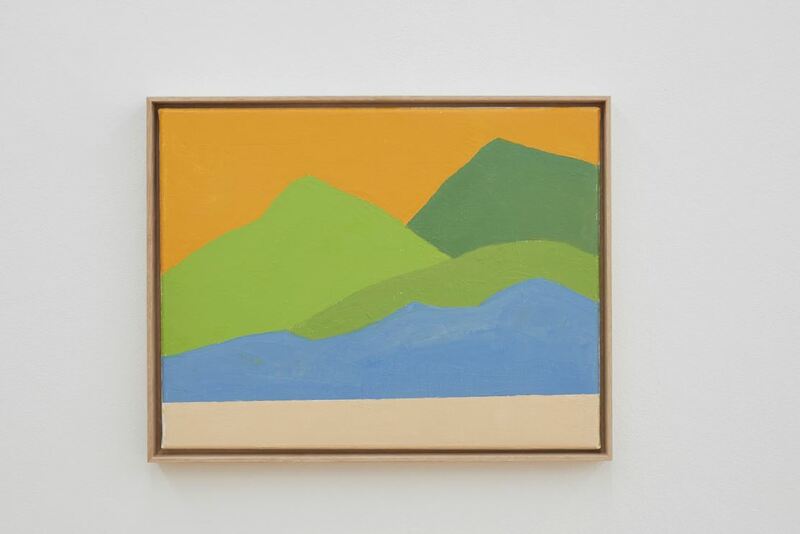 The largely abstract compositions present in her intimate paintings are reminiscent of landscapes. The geometrical shapes are flat with vibrant fields of colour and there is a sheer beauty in the way she uses colour. “My painting is very much a reflection of my immense love for the world, the happiness to just be, for nature, and the forces that shape a landscape,” explains Adnan. The booth featured two artworks from his World Flag series. Flag (Yangtze) 2017 and Flag (Amazon) 2017, where each portray a small section of the Amazon and Yangtze rivers as algorithmic representations of contemporary landscapes. His hyper real works are made using 3D real-time computer graphics, a technology originally developed for military use and now widely adopted by the video game industry. The river colour is represented alongside buildings and trees on the riverbank and is present as reflections though day and night. 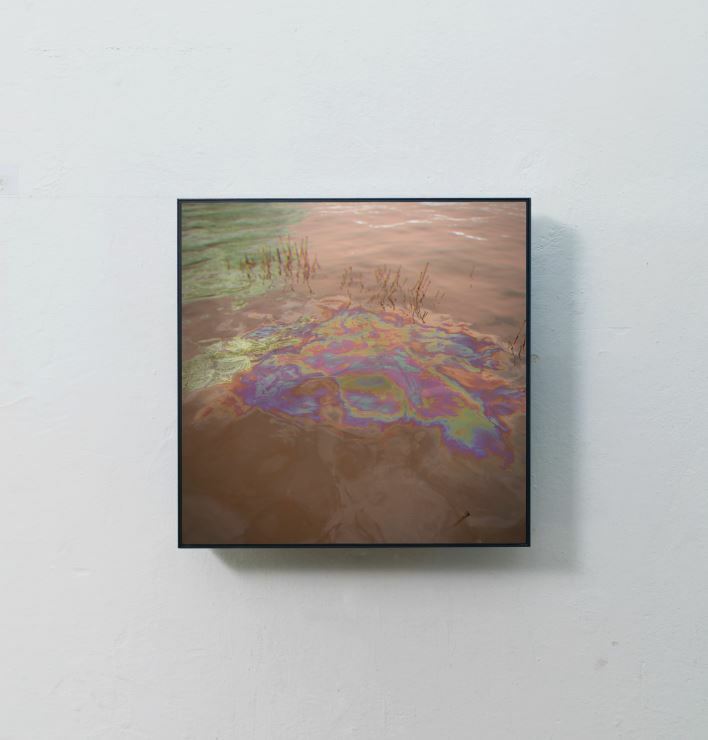 At the centre of the screen a gasoline spill is simulated – accurately refracting the light to create a vivid prismatic patch, endlessly shifting in shape over time but alluding to the global dependency on petroleum. 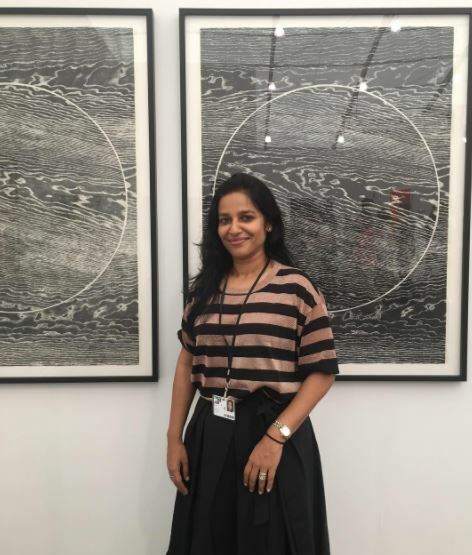 The spotlight section of the fair dedicated to rare solo presentations by twentieth century artists is curated by Toby Kamps and always has some hidden gems. Born in 1936 at Buenos Aires, Argentina, Davidovich began his career as a painter but shifted his practice to performance and video. His investigation in space led him to work with tape as an artistic material. 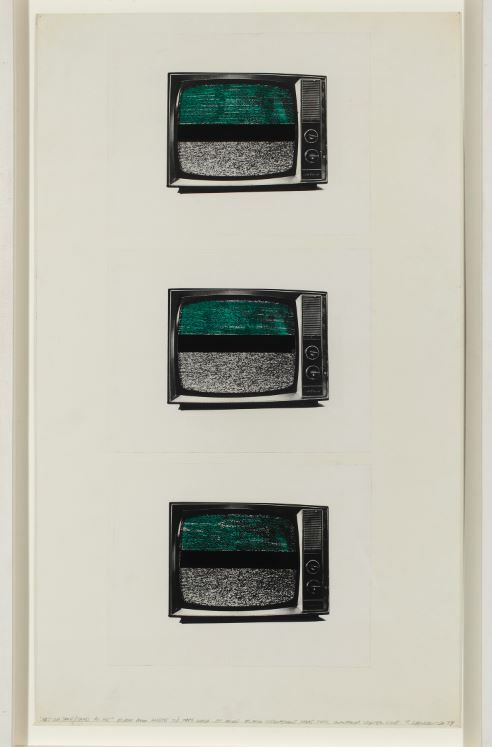 The collage ‘Art on Tape/Tapes as Art” (1974) depicts a column of three vintage TV sets whose screens have been partially covered with bright green tape, drawing attention to the communicative properties of paper and television and their evolution with advancing technologies. With the omnipresence of the screens in human lives today, this presentation re-orients our focus from the “digital, virtual and referential to the tangible, material and traceable”. This was a solo exhibition by the Dussoldorf-based photgrpaher after ten years in New York. 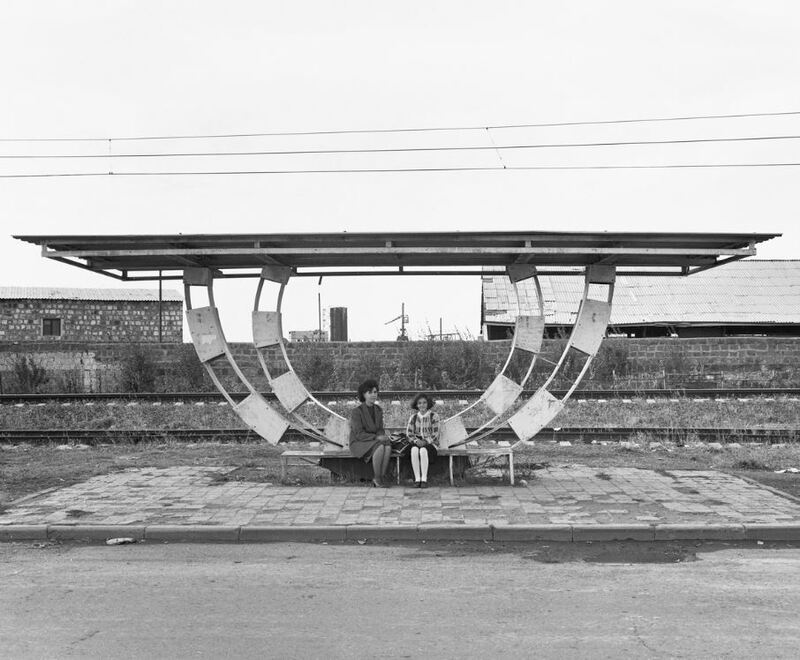 The booth presentation included vintage silver gelatin prints from the series “Bustops” shot in Armenia between 1997-2011. The images are typological studies which capture both the structural simplicity as well as the modernist decorative elements and continue to be functional spaces where people still wait for their bus. There were four galleries from India this time with strong presentations. A personal favorite was a series cibachromes by Simyrn Gill who lives and works between Australia and Malaysia. 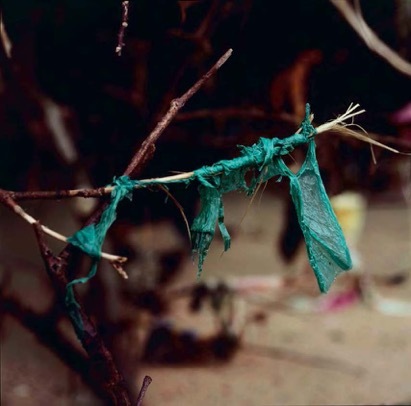 Channel (2014) is a series of 29 mostly colour photographs of plastic and cloth debris caught in the roots of coastal trees becoming visible only when the tide ebbs out. These also represent a set of formal decisions made by the artist about how to work with the last rolls of a photographic paper that uniquely captures depths of colour, but is not made any more.